ABEX and ITS to provide secure Real-Time Rating and Paperless Policy Issuance - ABEX Affiliated Brokers Exchange Inc. Affiliated Brokers Exchange Ltd. (ABEX) and Insurance Technology Solutions Inc. (ITS), are thrilled to announce a next generation Policy Administration System that will provide secure Real-Time Rating and Paperless Policy Issuance through ITS BindEasy Solution. ABEX is an MGA that provides brokers with a wide range of out of the box solutions for standard and misunderstood risks. ITS provides insurance technology solutions including its flagship product BindEasy, a powerful and secure Policy Administration Solution. 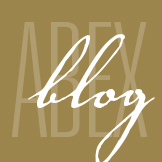 ABEX – Affiliated Brokers EXchange Ltd. This entry was posted in ABEX Access, Recent News and tagged ABEXAccess. Bookmark the permalink.